The decision to buy a new HVAC piece can be a tough one. There are so many models to choose from, and more are popping out by the hour. They all promise top efficiency, but how can you tell the real deal from the shenanigans? 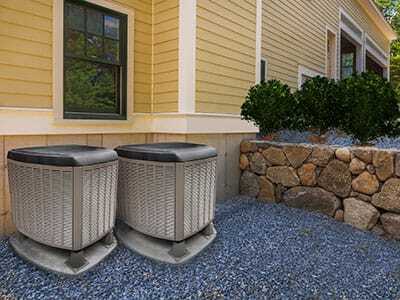 The first thing to consider when choosing a new HVAC unit is your home itself. The size of the structure plays a major role in choosing the HVAC system – the bigger the structure, the harder of a time you'll have heating or cooling it. For example, many larger homes opt for a powerful wood furnace as their method of heating because it's the most economic option. A fireplace can generate tremendous heat without spending too much in the way of resources. Of course, a fireplace has its drawbacks – you'll have to be prepared to constantly peddle firewood as well as constantly cleaning the ash residue, not to mention that starting a fire isn't the quickest way to start heating. If a wood furnace isn't your thing and you have a large home, you'll have no choice but to install a form of central heating throughout the structure, most often in the form of wall-mounted radiators. These can be powered either by electricity or gas, and the choice is up to you – whichever form of central heating you get, you're likely looking at spending a pretty penny. If your home is smaller, your options are more varied and considerably less expensive. In most smaller homes with decent insulation, a single electric or gas furnace will do just fine. Of course, there are plenty of furnaces to choose from and their capabilities can differ greatly – two furnaces that look exactly the same could have very different heating capabilities. As for air conditioning, you're pretty much stuck with installing an AC unit in every major room, especially those that are separated by doors. This is why people with larger homes will only install AC units in rooms they spend the most time in, such as the living room or the bedroom. 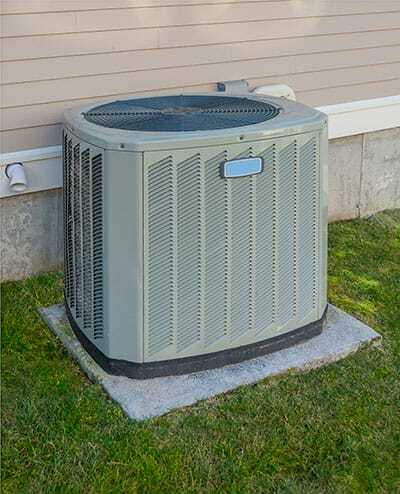 No matter what HVAC unit you're choosing, always keep the cost in mind – not just the cost of the unit itself but also the utility bills that it could incur. Far too many home owners make the mistake of buying a furnace or heat pump that's needlessly powerful and spends way too much energy, leading to an astronomical energy bill every month. No matter whether you're choosing heating or air conditioning, Boerne Air Conditioning Experts will be happy to help you make the choice in any way possible – we will advise you on what to look for, explain what the current industry standards are and offer some of our top picks. Furthermore, we will also cover the installation process from start to finish regardless of whether you have purchased the unit from us or not. Don't make such a difficult decision on your own – give us a call and we'll help you find the perfect heating and AC unit for your home or office.